My Grandpa, Floyd Query, would tell stories to his kids and Grandkids about Squeeky Wee Wee. Sometimes it was a squirrel, or a kitten, but Squeeky was always the runt of the family and always got in trouble because he forgot to pay attention. On excursions to Diamond Lake, Oregon, where my Grandpa loved to fish in his hand-built boats, my brothers and I would get treated to a Squeeky Wee Wee story every night. My uncle recorded my Grandpa in 1975 and I had the stories remastered to create the first storyteller in my series. 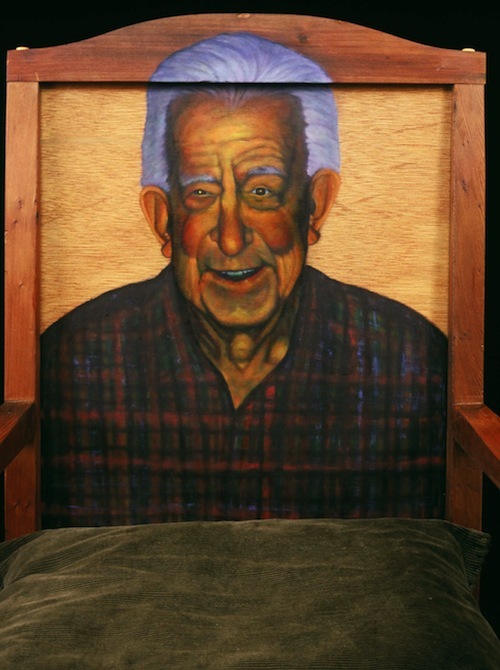 With the rocking chair experience, the art becomes a living heirloom. I can listen to the easy cadence in his voice again.